Sometimes there would have been a trouble in your message itself like not opening an attachment, in this case, we need to analyze user's original email message having the trouble in direct, therefore, the user should send the email message as EML to us. An EML file is an email message saved by e-mail programs. It may also contain an e-mail attachment, which is a file sent with the message. If we would look deep into the log, we need to test your email. 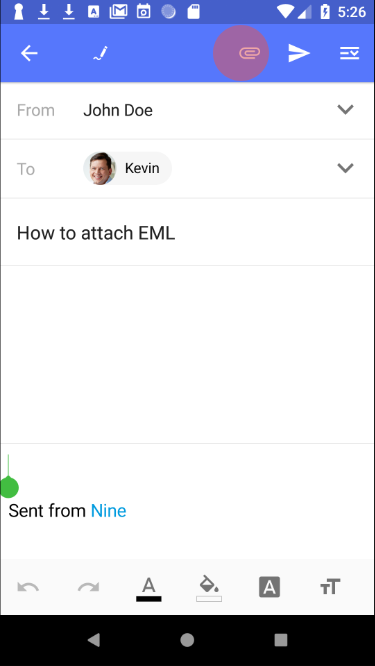 So you should send your email message having a trouble in attachments to us as EML. In case you do not know how to save the EML, please follow the method explained below. 1. Go to your problem email. 2. 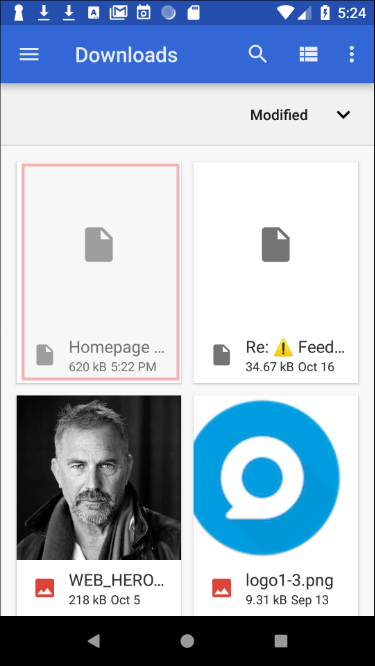 In the upper right corner of the email message view screen, there is an overflow menu (three points menu). Tap it. 3. 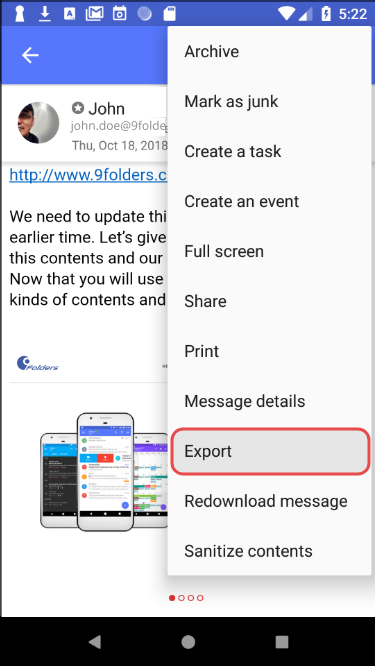 You can see the Export menu. Tap it. 4. 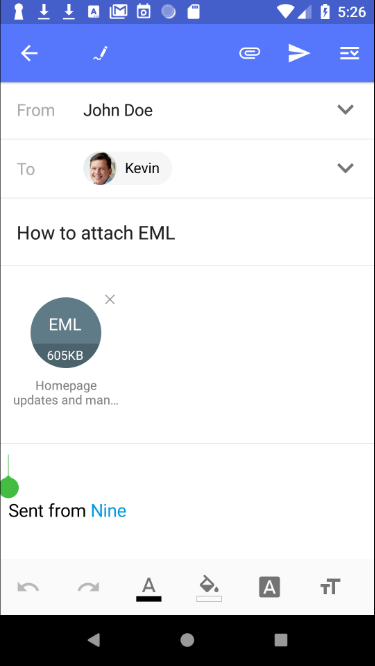 The e-mail is now saved as EML and stored in the \Device\download in your device. You can send it to us with attachments. 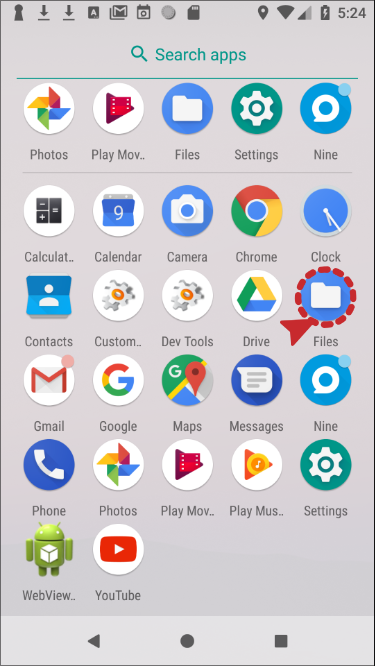 You can make sure this EML file by using a popular file manager got from Play Store. 5. 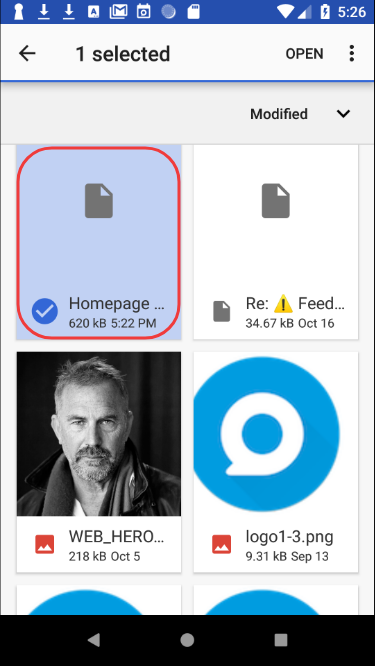 Tap a new mail icon from the message list view. 6. 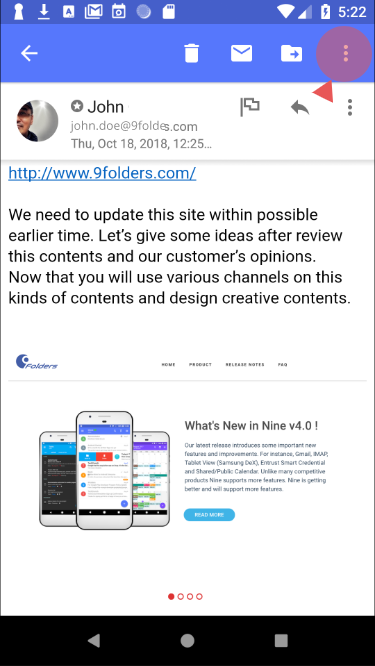 Type 'support@9folders.com' in 'To' field. 7. 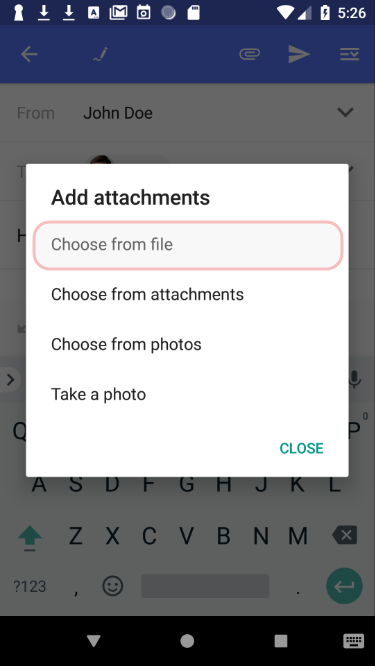 Tap the attachment icon in the toolbar of the top, and then select 'Choose from file' in the Add attachments. 9. Now, it's all done. Just send it.